Disclosures: An ARC of this book was provided to me by Dell Books publisher Random House Publishing Group via NetGalley. 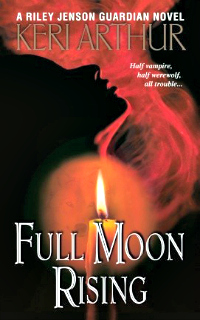 When her twin sister is viciously attacked by the werewolf who has slaughtered three women on the Ripple Creek Reservation, Neva Grant vows to kill him. She can't just let the Rangers handle the investigation. She knows from her sister's files that they suspect a member of the Sinclair pack. She also knows that only the alpha's third son, bad boy Duncan Sinclair, has an alibi that elevates him above suspicion. For the murders, anyway. Neither his past nor his reputation are in any way innocent on any other level. Now all Neva has to do is seduce the gorgeous werewolf during the moon dance, get access to his home, figure out who almost killed her sister, and end his reign of terror. Piece of cake. Well...at least it's easier than controlling her emotions around the gorgeous Duncan. She's agreed to be his mate through this moon cycle. Rampaging killer on the loose or not, a week of mating with Duncan may be riskier to Neva's life than anything else she'll face. 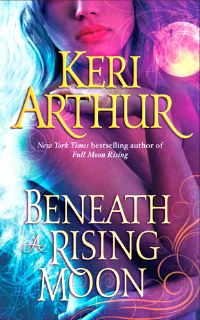 This is a re-release of Keri Arthur's Ripple Creek series debut, originally published in 2003. I was a little hesitant when I started reading. 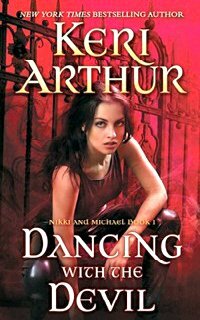 I knew the werewolf mythos in this book was similar to that of Arthur's Riley Jenson Guardian series, and I wasn't crazy about certain aspects of that in the two RJG books I read. Thankfully, any contentious elements remained mostly in the background in this book. I liked both Neva and Duncan as the main characters, but I do wish there had been more attention given to their character definition. The romance arc has a heavy sexual element, which was fine, but there was little in the way of significant character depth or romance evolution to balance it out. In fact, the majority of their relationship seemed based solely on lust and physical compatibility as opposed to any deeper emotions or mutual respect, and that doesn't really work for me. The suspense and mystery story elements were solid, though. The Bad Guy was pretty easy to figure out early in the tale, but I liked that the plotline got richer and more complex, piling on deadly implications and threatening dangers as the story progressed. The scope, motivation, and intent of the murders as well as the intensity level of the investigation kept me invested throughout the book. I do wish the book had begun at a slightly earlier point in the characters' lives. I would have really enjoyed seeing Duncan in his environment prior to his return, or reading about Neva dealing with her sister's attack as it happened instead of being told about it after the fact. Other than that, though, and beyond a few scenes that displayed some lapses in logic and some rather specious conclusions in the investigation, I liked the werewolf killer storyline a lot. Equally enjoyable was seeing Neva's relationship with her parents alter in the latter half of the book, and I respected the hell out of Neva when she stood up to her father. It wasn't just what she said, but how she said it that I appreciated immensely. The philosophical differences between Duncan's pack and Neva's pack were fascinating and the subsequent fallout made for some emotionally intense scenes. I would have loved to see that have an even larger role in the story. The second half of the book was stronger and more enjoyable to me than the first half. Duncan eased up just a little on the alpha male jackassery, Neva established herself more in their relationship, and some of the misunderstandings between them were cleared up. The scenes with them working together to track the Bad Guy were my favorites in the book. 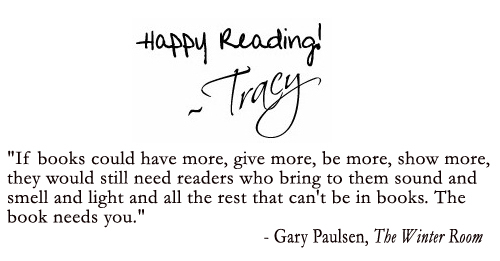 The read as a whole may have been a bit uneven for me, but it definitely ended on a positive note.